With an overall length of 140cm, the marabou is one of the largest storks.The marabou’s head and neck have only a few downy feathers.The feathers on its back, wings, and tail are dark grey with a shimmering green gloss, and its underside is a radiant white. Its red and entirely unresearched throat pouch is a distinctive feature. ∆ ∆ ∆ (3tone.triangle) and singer Madlaina Balmer fly to Africa together on the marabou and caress this wonderful summer with warm synthesiser clouds, airy field recordings and pleasant, raw percussion. 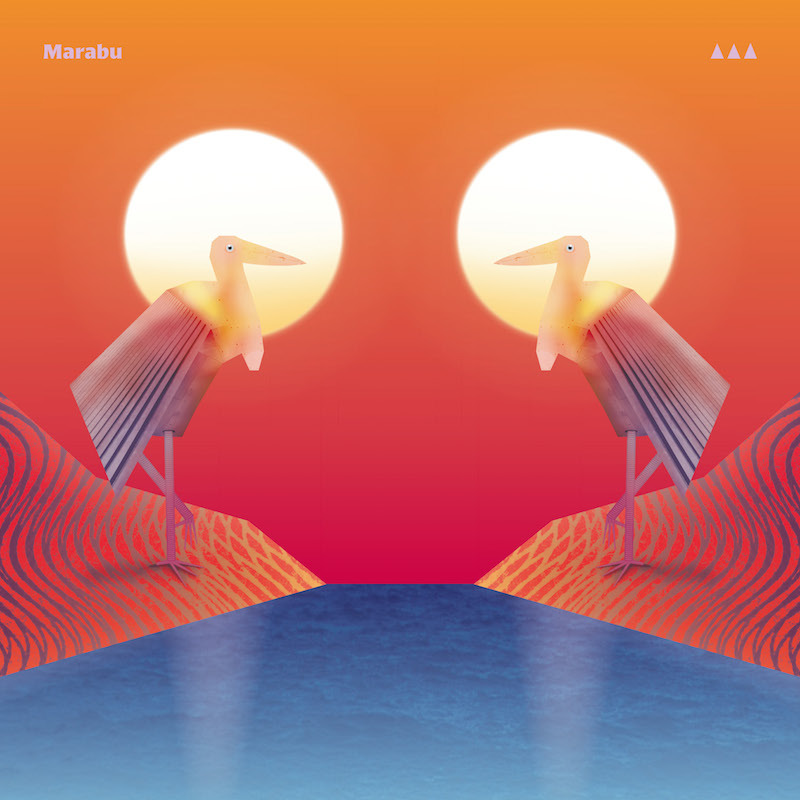 “Marabu” is available for purchase from the Bug Wan record label. The art work to accompany this journey was conceived and designed by Marcel Huwiler. Let’s dance above the clouds!